Be restored and calmed by our Serenity blend. The citrus, yet warm fragrance of Lemongrass will energise your mind and body whilst at the heart of this blend, the exotic floral beauty that is Neroli, will serve to restore your emotions and soothe away stress. Let the warm, calming breeze of our Serenity range both revive and relax you. 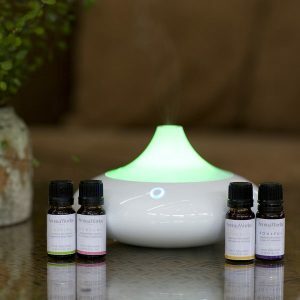 Our Serenity blend combines the beautifully warm citrus top notes of Lemongrass with the underlying exotic, floral fragrance of Neroli and soft, sweet Geranium.